All continuing education providers approved by the State of New York do not go through the same approval process. Find out the differences in the process. A few years ago, New York State implemented continuing education requirements for massage therapy license renewal. Of course, the continuing education that will be accepted depends both on the content of the course as well as whether the provider of the course has been approved by the Board. There are three different ways providers can get approval by the Board. While a fee is required and a form needs to be submitted, this is as close to automatic as you can get. Providers that are national or New York massage therapy/professional organizations fulfilling specific criteria, affiliates of international massage therapy conferences, an entity, hospital or heath facility as well as a higher education institution would be deemed approved as a sponsor of continuing education. These providers (their policies, procedures, instructors, etc.) have not been vetted directly by the Board, but have been “automatically approved” by virtue of the type of entity they are. The National Certification Board for Therapeutic Massage and Bodywork (NCBTMB) falls under organizations that would be “automatically approved” by the New York State Board for Massage Therapy. The NCBTMB also has an approval process for its own providers. In 2013 the NCBTMB worked with the New York Board to sponsor their own providers for New York State Board approval. 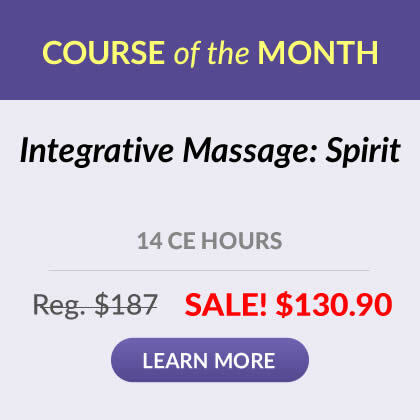 What does this mean to massage therapists? Well, if you were to enroll in a course through a provider that is approved by the NCBTMB don’t automatically assume that the provider is also approved in New York. Providers are not automatically sponsored by the NCBTMB for New York approval, they have to apply for this approval. 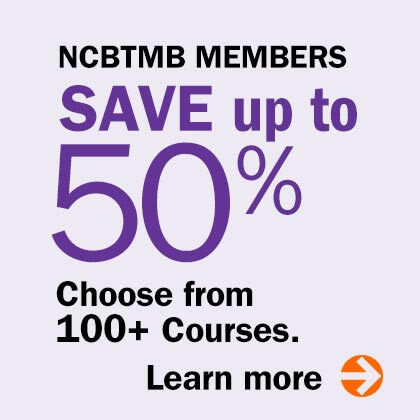 Also, if you have confirmed with the NCBTMB that the provider offering continuing education is an “NCBTMB Sponsored Approved Provider in New York” this means that the provider you are taking courses with must submit all of your information, and course completion to the NCBTMB. The NCBTMB will be issuing your certificate on behalf of the provider. Because the NCBTMB acts as the “middleman,” the processing of your certificate may be delayed and your information given to this third party (if you aren’t already certified with the NCBTMB). This direct Board approval process is time-consuming and thorough. Once approved by the Board, all courses that fit within specific subjects are accepted. Additionally, when you enroll in a course through a New York Approved Sponsor your information is not given to any other entity in order for a certificate to be processed, thus increasing the confidentiality of your information as well as a quick turnaround for your certificates. The Institute for Integrative Healthcare Studies is directly approved by the State of New York. A listing of all New York Approved Sponsors can be found at the Board’s website at http://www.op.nysed.gov/prof/mt/mtceproviders.htm. It is important to be able to differentiate between providers and their New York State approvals in order to determine which best fits your specific continuing education needs and peace of mind. National Certification Board for Therapeutic Massage & Bodywork. NCBTMB New York Sponsored Approved Providers. Retrieved Jun 5, 2015 from http://www.ncbtmb.org/sites/default/files/files/New York AP Requirements 120111.pdf. State Board for Massage Therapy. Department Approved Providers. Retrieved Jun 5, 2015 from http://www.op.nysed.gov/prof/mt/mtceproviders.htm. State Board for Massage Therapy. Deemed Massage Therapy Continuing Education Sponsor Registration. Retrieved Jun 5, 2015 from http://www.op.nysed.gov/prof/mt/mtceapreg.pdf. State Board for Massage Therapy. Guidelines for Completing the Application for Approval as a Sponsor of Continuing Education for Massage Therapists. Retrieved Jun 5, 2015 from http://www.op.nysed.gov/prof/mt/mtcenapreg.pdf. National Certification Board for Therapeutic Massage & Bodywork. NCBTMB Approved as New York CE Sponsor. Retrieved Jun 5, 2013 from http://www.ncbtmb.org/continuing-education-providers/ncbtmb-approved-new-york-ce-sponsor.